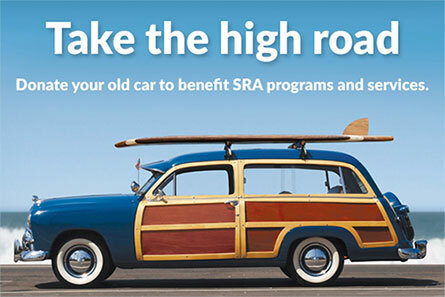 Take the high road and donate your old car, truck, van, or motorcycle to Senior Resource Association. You’ll receive a valuable tax deduction and all the proceeds will benefit SRA programs and services. Your donation will help assist thousands of older adults and their families in our community. Donating is easy! Simply click here to complete our secure, online donation form or call 855-500-RIDE (7433) to speak to a representative. Once you have completed the secure online form, a representative will make arrangements to pick up your vehicle. All that you’ll need to provide is the Certificate of Title upon pickup of your donated vehicle.